This summer middle and high students from the greater NYC metropolitan area participated in a pilot outreach program, August Intensive August 16-19.They engaged in four days of art and writing workshops and field trips too! Art students spent the week learning about and creating zines, social justice posters inspired by Keith Haring and learning how to approach the creation of a compelling portfolio.Writing students spent the week expanding their thinking about poetry, defining their voice in their writings and thinking critically about the scope and content and their portfolios. Students were joined by representatives from ACT-SO, Ashcan Studio of Art, SVA, The New School and Writopia who shared useful information about their program offerings to teens. August Intensive wrapped up with outings to Getty Images, Essence Magazine, Miguel Luciano’s art studio and The New York Times to experience what it means to be a professional artist/writer. Thank you to the wonderful instructors and guest speakers who shared their time, positive energy and knowledge! Weslie Turner – Scholastic Inc.
Deimosa Webber-Bey – Scholastic Inc.
Last but not least, thank you to the incredible teens who participated in the first ever August Intensive at Scholastic Art & Writing Awards. I hope you enjoyed the experience and are off to a fantastic start to the school year. I will be in touch with participants soon with details about a follow-up session created especially for you to have the opportunity and guidance in fine tuning work you plan to submit. Visit often for updates about upcoming opportunities to participate in free workshops. Best Light is a free photoshoot event for all students in NYC who are planning to apply for a Scholastic Art & Writing Award. The deadline for submitting an application to the Scholastic Awards of New York City is Wednesday, December 16, 2015. In order to apply for this award, students must capture digital images of their work and upload them via Scholastic’s online system. In an effort to have your work seen in the best light, Parsons and The Alliance for Young Artists and Writers are partnering to give you an opportunity to have your work photographed. The photoshoot will be hosted on Saturday, November 14th at Parsons. You can request your fifteen-minute time slot by registering for a ticket through this page. This is a free event but registration is required. Students are invited to bring up to 8 artworks to be photographed. Equipment will be available to photograph 2D (drawings, paintings, etc.) as well as 3D (sculpture, ceramics, etc.) works. Each student’s photographs will be transferred to an individual USB stick that they can take with them following the photoshoot. Click here to register. Personal Statement Workshop (1-2pm) is a free event for all students in NYC who are planning to apply for a Scholastic Art & Writing Award. The writing workshop will be hosted on Saturday, November 14th at Lang. Participants will complete a short writing activity and followed by a dedicated space to ask questions about personal statements and writing exercises. Students are invited to bring personal statements they are currently working on, but it is not required. Click here to register. A representative from the Alliance for Young Artists and Writers will be available to answer questions about the application process for the Scholastic Art and Writing Awards. Representatives from The New School will be available to answer any questions about admissions and financial aid. Our pals at Parsons are accepting applications to become a Parsons Emoti-Con Design Fellow! -Be in 9th, 10th, 11th, or 12th grade in NYC! -Commit to attending 9-11 of the Free Saturday sessions at Parsons The New School for Design January 31-April 18 (except March 28), from 10:00am-1:00pm. * gain experience in graphic design, game design, event planning, and public speaking from a Parsons instructor — all great skills for college applications, job applications, and life! * meet awesome teens from across NYC! * be able to request a transcript you can use for college applications, which will say that you completed a Parsons Pre-College Academy class! * receive a letter of recommendation from the instructor that you can use for college applications! Applications are due January 9th, 2015. Applications & more information available here! Take a look at past the Emoti-Cons and learn about the cool projects teens are creating that positively affect the world around them here! Every year the NYC Scholastic Art & Writing Awards receive over 4,000 art submissions from NYC teens. Each piece of art is judged by a panel of professional artists using the student’s digital submission – a photograph! Parsons The New School For Design and the Alliance for Young Artists & Writers want you to feel confident that your photograph represents your artwork at its best, hence the first ever Best Light, a free 2015 NYC Scholastic Awards Art Photo Shoot! Parsons will have professional photographers on hand to photograph your work for submission. All students submitting to the 2015 NYC Scholastic Art & Writing Awards (Deadline, Dec. 17th, 2014) are encouraged to attend. This is a free opportunity. Please RSVP HERE. What to expect: RSVP here for a 15 minute time slot. Parsons will be providing two stations manned by professional photographers. What you get: A high quality digital photograph ready for uploading to the Online Registration System for submission to the 2015 NYC Scholastic Art & Writing Awards! Want to improve your art portfolio? Help is here. 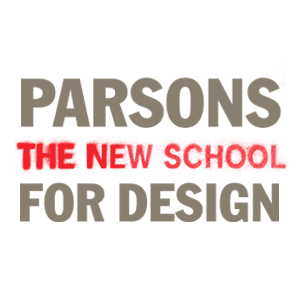 Our pals at Parsons The New School For Design are hooking up with some other big names in the NYC art scene to bring a wonderful opportunity to High School junior and senior visual artists. More info below, and through this link. 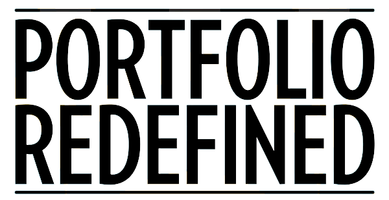 Portfolio Redefined is for high school juniors and seniors who are preparing an art and design portfolio for college admission as well as members of their families who would like to learn more about art degrees and college readiness. Join Parsons, Museum of Arts and Design, Ashcan Studio and the Joan Mitchell Foundation for a portfolio development day on October 11, 2014. Hands-on “how to” sessions will guide students in workshopping ideas for building a competitive application and portfolio for colleges of your choice while finding inspiration to kick-start your portfolio. Parents are invited to attend sessions that review how students can turn a passion for art into a successful college major and career. College representatives, arts professionals and students from art and design colleges will lead us in the day’s activities. RSVP here. Financial aid: What is it and how do we access it? *A breakfast snack, a bag lunch and an afternoon snack will be provided for students and family members at the event. *Students should bring a sample of 4-6 samples of your artwork to be reviewed for feedback.